In an interview with The Telegraph, Hidetaka Miyazaki – the esteemed director of the Dark Souls franchise, Bloodborne, and the upcoming Sekiro: Shadows Die Twice – voiced a fascination with battle royale games. When asked about From Software's plans to possibly contribute to the genre, Miyazaki considered the possibility: "These games are definitely fun," Miyazaki said. "And we’re interested in the patterns they are taking. If we did it, it might be a bit different! But we’re definitely interested and there’s definitely that possibility in the future. We’d love to take a crack at them some day." Eventually, Miyazaki goes on to talk about the high production rate of single-player experiences (mentioning titles like Devil May Cry 5 and God of War) and how battle royale games provide a much-needed level of gameplay diversity. Hidetaka Miyazaki won a Lifetime Achievement Award last year; check out his thoughts on the prestigious commendation. 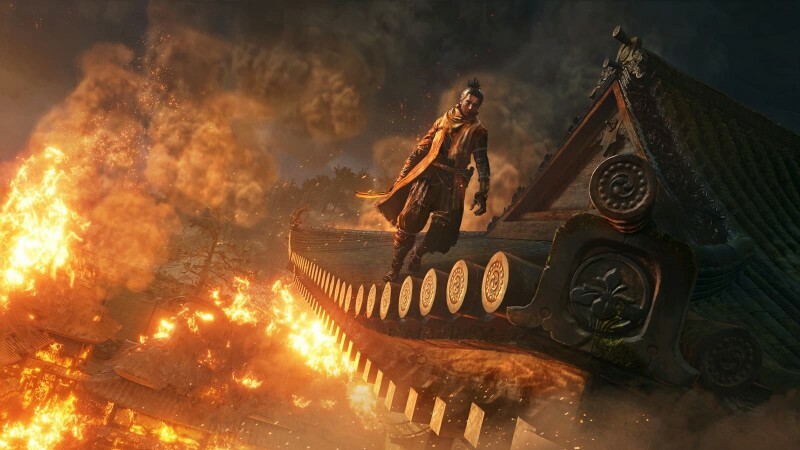 Sekiro: Shadows Die Twice arrives to PlayStation 4, Xbox One, and PC on March 22.